Give the gift of Billy Sims Barbecue. Perfect for birthdays and holiday celebrations! 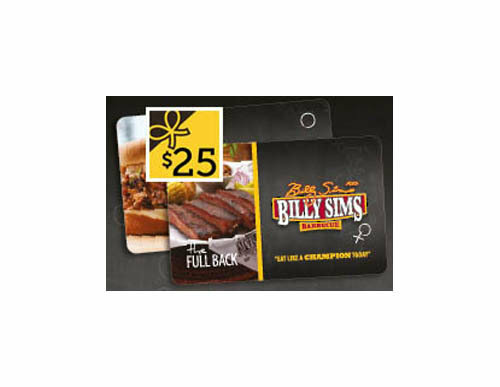 Order a Billy Sims Barbecue gift card online or visit your local Billy Sims Barbecue.